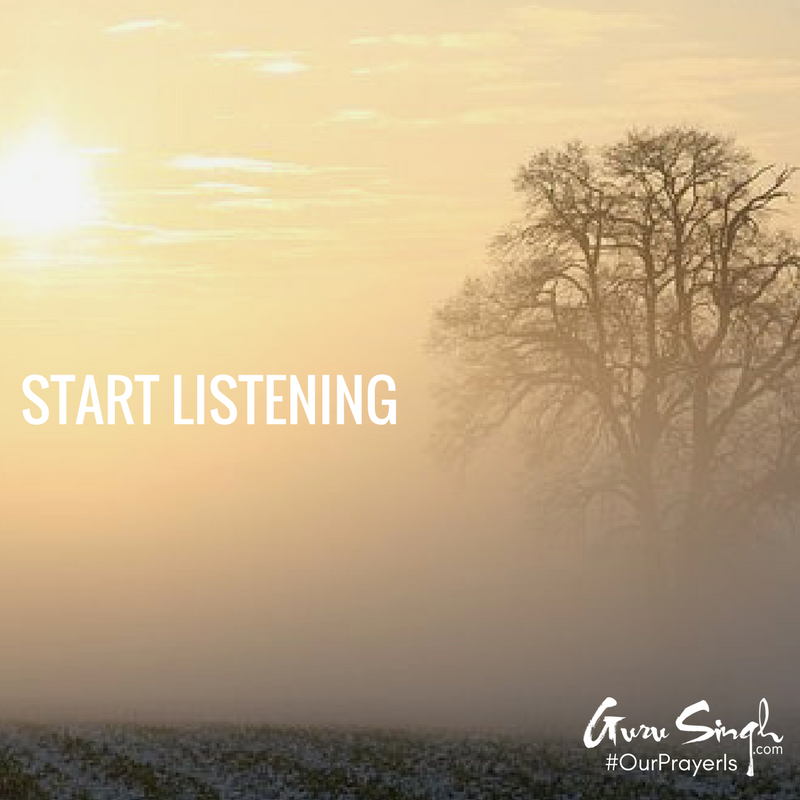 When you want to connect; when you want to create a relationship, the most vital action to take is to deeply listen. All relationships and connections are circles . . . enclosed combinations of projections and receptions. Amongst humans, and any creature with verbal communication, reception is listening -- projection is expressing. Sunia is the word in Sanskrit/Gurumukhi that means: the art of 'extreme deep listening’ . . . beyond the words . . . listening to the tones; to the inflections; to the inferences -- each subtlety of the sound. It's through these subtleties that you actually connect to the root understanding -- what a person truly means; where they’ve come from to speak their words; what they’re intending with these words, and how sincere . . . absolutely everything. Even when they’re unable to accurately express the exact words, these subtleties express the missing information for them . . . such is the art of sunia . . . deep listening. When a person experiences your depth of listening -- their needs will relax . . . they feel heard. Once a person feels heard, they’re able to further express their feelings and thoughts; their communication becomes more authentic; a deep relation and connection takes place. In today's world, this is an avoided art . . . listening at this deepest level feels too vulnerable . . . it exposes too much information. Instead, it’s become a common human reaction to not listen to someone’s words, but to interpret instead . . . to determine what their words mean to the listener -- not the speaker.